Surviving a renovation with your sanity intact takes skill and planning. Instead of couple’s counselling before getting married, you should just renovate your kitchen together (with a few random kids and pets thrown in for good measure). Any couple that comes out the other side still loving each other will last forever. To help you survive school lunches, mini-meltdowns and anything else that life still throws at you while your reno is going on. Renovating Mums has pulled together some of our favourite tips for kitchen renovations. If possible, try to do your reno in the milder months (but not the height of summer). Choose a time that is not too hot or cold, so you can easily prepare basic food and still satisfy and nourish everyone. Make sure you have a clear timeline mapped out with your tradies, and keep in close communication with them so you know how things are progressing. Be prepared for things to take a little longer than originally expected, and allow yourself to be a little flexible with everybody at this time. Set up a space for yourself somewhere away from the reno mess to be your pop-up kitchen. You will need the fridge and freezer (or access to them if they are still in the kitchen), a table for prep and eating at, and some basic appliances. You could move your dinner table to your pop-up location and use this for prep, but make sure you cover it for protection from knives, heat and spills. If you are reluctant to use a nice dining table for prep space you can buy a fold up trestle table or camping table reasonably cheaply from stores like Kmart or Bunnings. 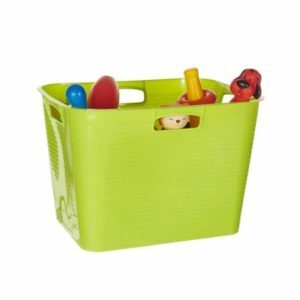 Get a couple of big buckets for washing dishes in as well as storing them neatly under the table when not being used. Baby baths are also great for dishes if you still have one at home somewhere! Think of it as camping, or perhaps envisage yourself back in your uni days (without the hangovers!). You can probably get by with a couple of handy appliances including a BBQ, kettle, toaster, microwave and an electric stovetop or hotplate. A benchtop frypan or electric grill, electric wok, sandwich press or slow cooker could also be handy, but you won’t need all of them. Just think about the kinds of meals you like to make and cover yourself for the basics. Protect the floors in the rest of your home during any demolition work and make sure that you vacuum daily after the tradies have left to reduce dust (or have them do it). Remember that plaster dust gets EVERYWHERE, even in rooms and cupboards that you wouldn’t think it could reach. Seal up every crack and opening to other rooms unless you want to seriously dust every inch of your home after it’s done. Prepare and freeze as much as you can in advance, including casseroles and sauces you can heat in the microwave, as well as muffins, slices, banana bread, frittatas etc for lunches. Take it easy and think of this all as an adventure. You might be stressing about the quality of the meals, but your kids won’t notice – they will probably love it! Breakfast for dinner is a completely acceptable meal, as is tinned soup and toasted sandwiches. No one ever said dinner had to be a hot meal with three courses; it just needs all of the healthy food groups and enough food to satisfy growing bodies. Here are some easy dinners that are nutritious and simple to prepare. No matter what, make sure you have easy ability to make a cup of tea or coffee whenever you need it, as well as somewhere to chill wine or a beer, and a least one clean glass. Everything else will be ok if you at least have this! Be kind to yourself and lower your standards while the reno is going on. Don’t beat yourself up if there is a noticeable lack of variety in your cooking right now. Paper plates are fine, as is takeaway and eating out. (If you buy extra takeaway, you are set for lunch tomorrow too!) 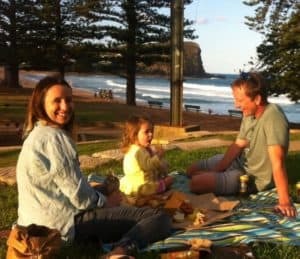 Why not have an easy picnic in the park instead of at home, or fish and chips at the beach? Invite yourself over to friends and family for dinners – you can repay them in kind once your awesome new kitchen is finished. Take a deep breath often and remind yourself that this is only temporary, and keep remembering to cut yourself (and everybody else) some slack during this time. And just think, when you get to the other side, there will literally be nothing you and your family can’t get through with your sanity and relationships intact! Hunting for more renovation ideas? 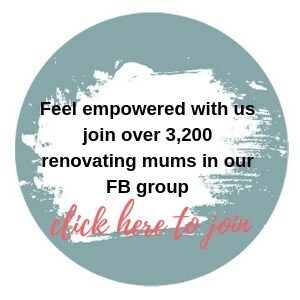 Click through and explore our blog or join our Facebook group for support, inspiration and advice.